Jean Paul Getty was born on December 15, 1892, in Minneapolis. He was the son of George Franklin Getty, a lawyer who went into the oil business in Oklahoma in 1903. Two years later the family moved to California where J. Paul was raised. He attended the Harvard Military Academy and the Polytechnic High School, both in Los Angeles, and graduated in 1909. He studied at the University of Southern California (Los Angeles) and the University of California at Berkeley for two years, and then he went to Oxford where he took his diploma in politics and economics in 1914. J. Paul Getty returned to the United States after his graduation and began working as a wildcatter, buying and selling oil leases in Oklahoma for his father. 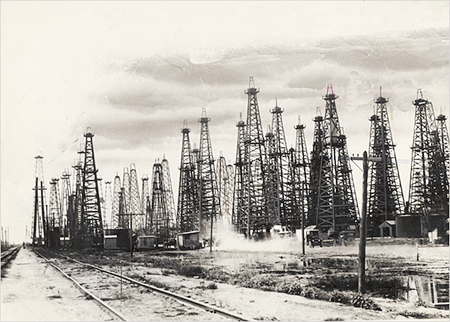 By 1916, at the age of 23, Getty who at the time was already running his own oil company made his first million and established his first successful oil well in Oklahoma. In the 1920s, he drilled in California and continued to amass his fortune. He became president of the Getty Oil Company when his father, George Getty, died in 1930. In 1964, he acquired multiple oil interests and merged these holdings into the Getty Oil Company. He was the president of the Company until his death in Surrey, England, on June 6, 1976. In 1949, Getty obtained a 60-year concession to a tract of barren land near the border of Saudi Arabia and Kuwait, in which no oil had been discovered. He paid King Ibn Saud $9.5 million in cash for the concession and agreed to pay $1 million a year for its duration whether or not oil was struck. In 1953, and after an investment of $30 million, Getty struck oil in enormous quantities and became a billionaire, mainly thanks to the production from that field (over 16 million barrels a year). In 1957, Fortune magazine named Jean Paul Getty the richest man in the world, but most people had never heard of him. Jean Paul Getty in 1964 at his Surrey, UK, manor, Sutton Place, in front of Peter Paul Rubens’s Diana and Her Nymphs on the Hunt (1627–28). Photo: Ronny Jaques for Town and Country, courtesy the Julius Shulman Photography Archive and the Getty Research Institute. Getty started his collection in the 1930s. He preferred the art of royals and aristocrats from western history: Greek and Roman sculpture, paintings of Renaissance masters, and furniture of 18th century European monarchs. He had a genuine desire to share his art with the public and, thus, part of his Ranch House in Malibu (Pacific Palisades, California) was converted into a museum. Late in life Getty conceived the idea of building a major museum on his ranch property. The design of the museum was inspired by the Roman Villa dei Papiri at Herculaneum, Italy, which had been buried in the eruption of Mt. Vesuvius in 79 A.D. The Villa opened in 1974, and although the critics didn’t like it, the public loved it. The Getty Villa offers an incomparable setting for the study and enjoyment of the arts and cultures of ancient Greece, Rome, and Etruria. Getty constantly warned the Museum’s staff that the institution would have to survive on the original $40 million endowment he had provided. However, in his will, he left virtually his entire estate to the institution in trust, giving it a greater endowment than any other museum in the world. The Getty Center in the Brentwood neighborhood (Los Angeles, California) is a campus of the Getty Museum and other programs of the Getty Trust. The $1.3 billion Center designed by architect Richard Meier is one of the two locations of the J. Paul Getty Museum (the other location is the Getty Villa). The Center was opened to the public on December 16, 1997 and also includes the Getty Research Institute (GRI), the Getty Conservation Institute, the Getty Foundation, and the J. Paul Getty Trust. The Getty Center, which is well known for its architecture, gardens, and views, is visited by more than 1.3 million people every year. 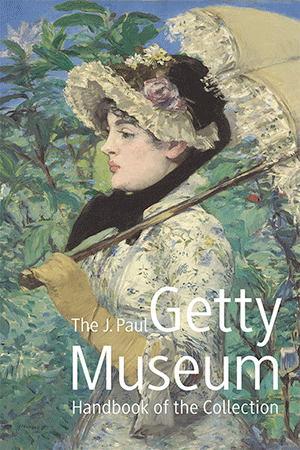 The J. Paul Getty Trust is the world’s wealthiest art institution with an estimated endowment in $US 5.6 billion in 2011.